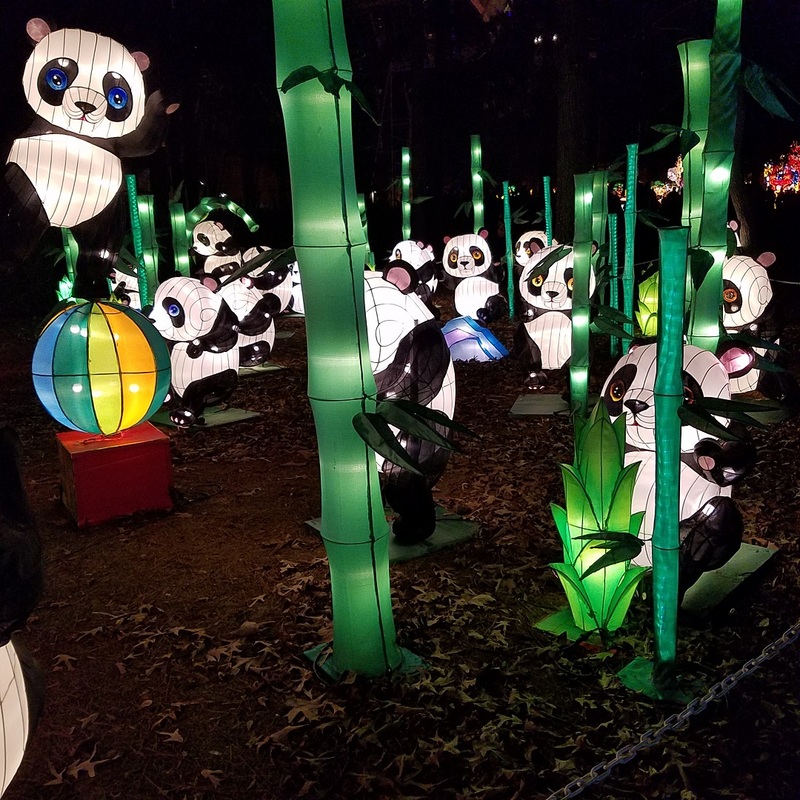 Home → North Carolina → Is the Chinese Lantern Festival at Koka Booth Worth Visiting? Here’s one for the North Carolina category of my blog, which I have been neglecting too much lately. Koka Booth Amphitheater in Cary NC is home to many great presentations, festivals, concerts and performances. Named after former Mayor Koka Booth and located on Regency Parkway, Koka Booth previously had an ice skating rink set up in November and December. If I recall correctly, this was called Tinsel Town. That has been replaced with the Chinese Lantern Festival. If you are looking for a cool light display and don’t mind paying $18/adult, you will definitely enjoy the Lantern festival. 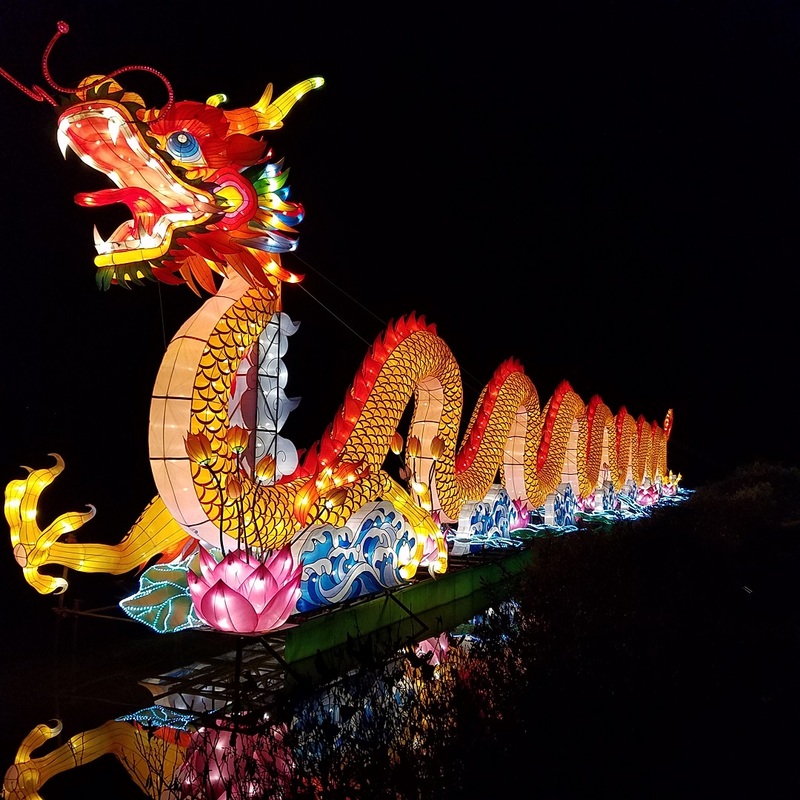 There are no fire lit lanterns flying away, but there are many interesting animals, dragons, mushrooms, lotus blossoms and other plants lit up. People fly from China the RDU International Airport to come set up and maintain the attraction, which runs until the middle of January 2018. The materials come from China as well. Here is the 300′ dragon, which rests on Symphony Lake. If you work with search engines like me, you will appreciate the panda and penguins, too.